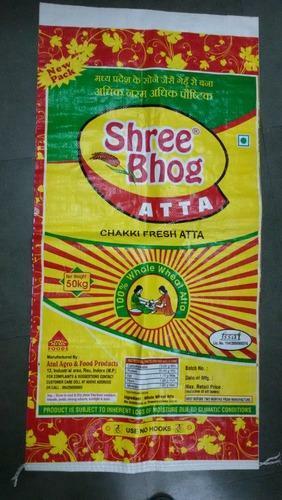 We are eminent leaders in the manufacture and supply of high quality Perforated Flexo Bag upto 6 Color. Fabricated in our high-tech modern facility these product are known for their exquisite quality and strength. All materials utilized in the production process are acquired from reputed resources in the industry. The consistent quality of these products makes them highly appreciated among our large score of customers. Customers can avail these products from us at industry leading prices. Incorporated in the year 2013, Pack Win Industries is a remarkable name affianced in the domain of manufacturing and supplying vast range of products including HDPE Woven Sack, PP Woven Sack, PP Handle Bag, Leno Bag and HDPE Woven Bag. In adherence with the pre defined trends and developments laid down by the industry, our offered products are made with extreme perfection and excellence at the premises. Moreover, these are checked stringently before getting delivered at the doorstep of our customers. Appreciated widely for their superior quality, reliability, durability and flawlessness, these are hugely recommended by our customers spread all over the nation. Owing to the modern facility, quality products, client-centric approach and on-time deliveries, we have been able to supplying our products to Pan India but We are also looking for international enquiry in future too as we are also interested in exporting of our Quality Products.